On 6th June 2012, L'Oreal Professional along with Lotus PR organized a launch event at Pearl Continental Hotel, Karachi. 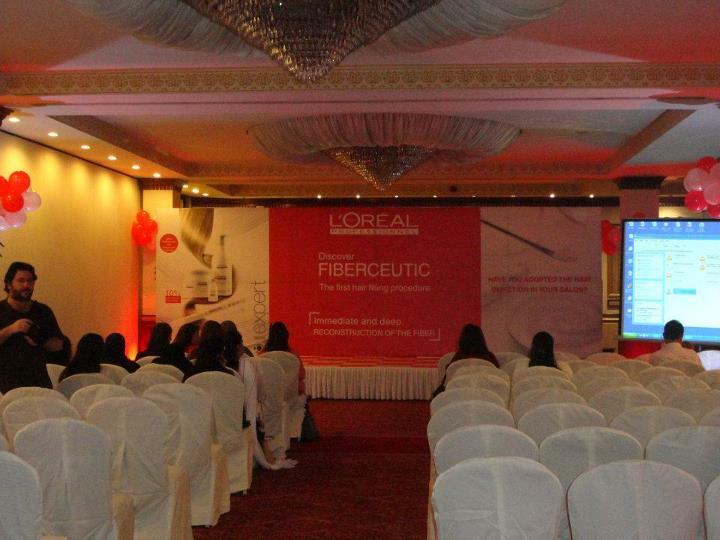 It was about the launch of a new hair treatment - Fiberceutic Hair Treatment. 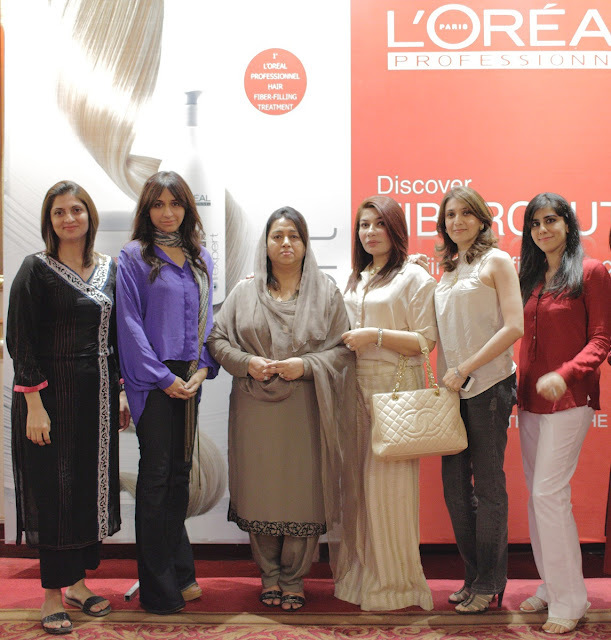 All the Salon owners and the beauty bloggers from Karachi were invited. It was my first event, and it was quite informative event. 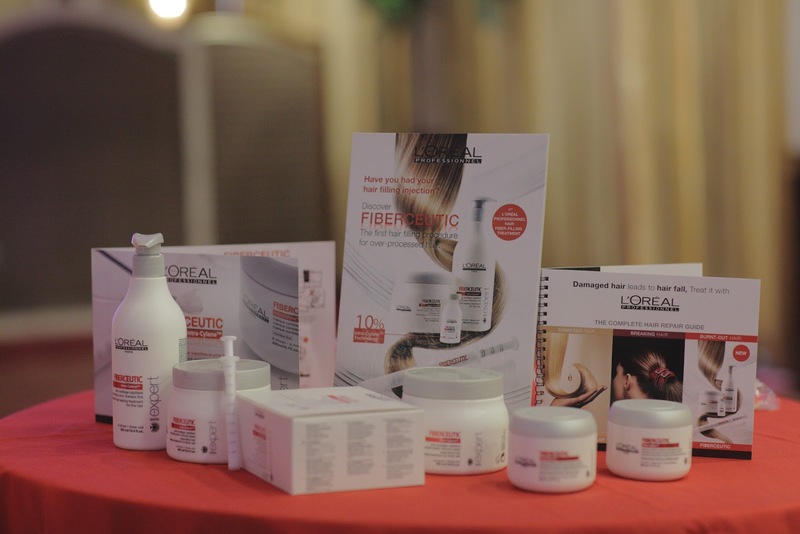 In that event, we were told about the treatment and how it works for different hair textures. We were given a goody bag, which had some shampoo and conditioner samples and a full size jar of Mask. 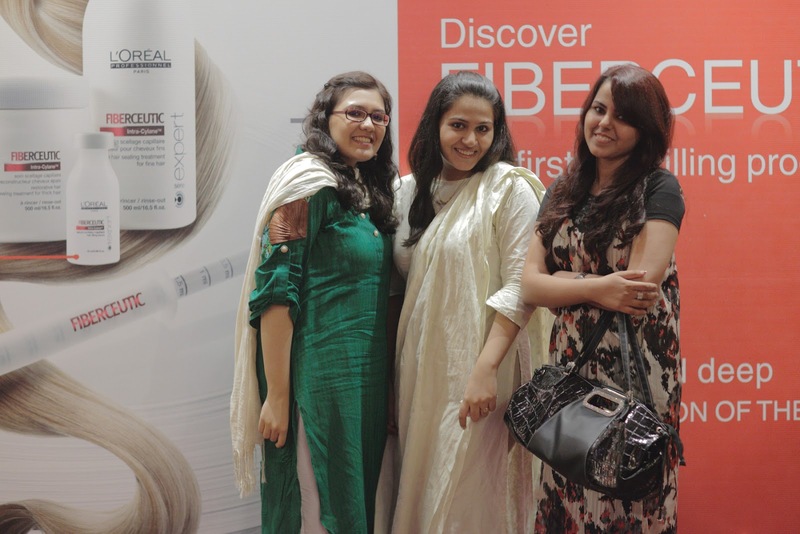 We also received a complimentary hair treatment at Nabila's. 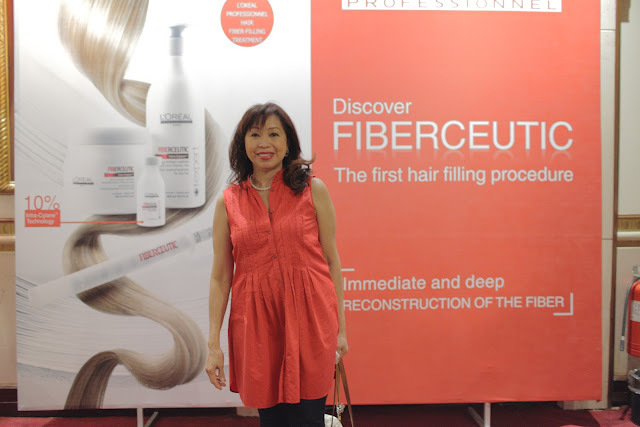 I chose Fiberceutic Treatment, for my dry and damaged hair. 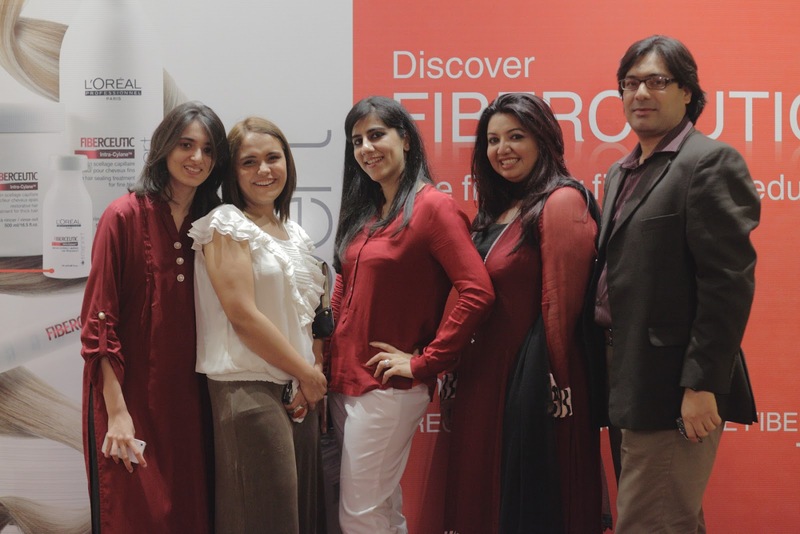 Here are some of the pictures from the event, taken by a photographer at the event. Beauty Bloggers - Sidrah, Nida and Saba. 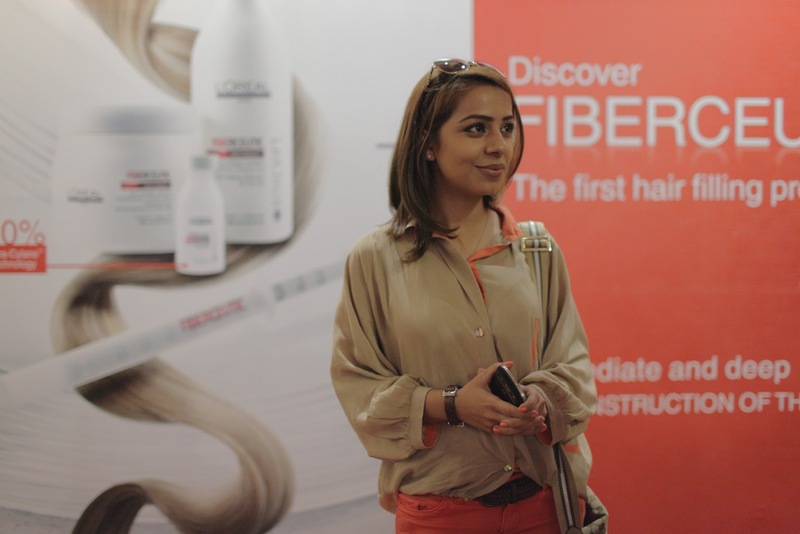 The Fiberceutic treatment works wonders on split ends and rough hair giving it a picture perfect finish. With lasting results of up till 10 shampoos the treatment is further complimented by L’Oréal Professionnel’s Serie Expert Fiberceutic mask for home care use, a protective and intense replenishing product that prolongs the results of the treatment. 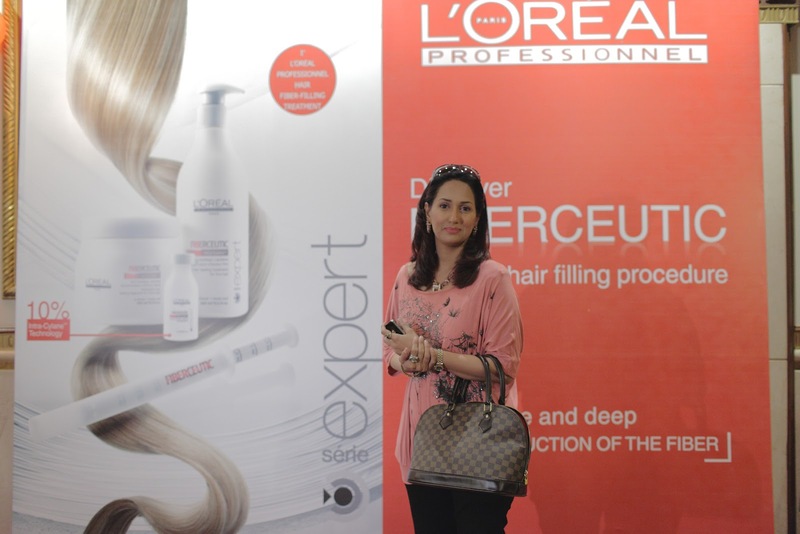 The severely damaged hair, suffering from overexposure over the years, is rejuvenated from the inside with a unique firm touch on the outside. On 30th June 2012, I went to Nabila's for the Fiberceutic Hair treatment. The treatment duration was 45 minutes. They started with the syringe, which is the main focus of this treatment. They fill the syringe with the oil, took little sections of hair and injected the oil in the hair and massaged it. Then, they applied the coat of the mask all over my hair, taking small sections and left it on my hair for 15 minutes. After that, they washed my hair and applied a hair serum and dried it. 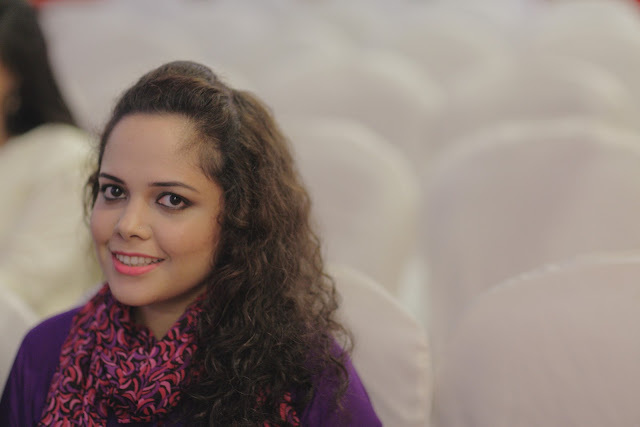 It's been a month now, and it is the right time to actually talk about my experience and how my hair feels NOW. Earlier, after coloring my hair second time, the texture of my hair became rough and dry. The shampoo I was using before, was making my colored hair dry and brittle. After the treatment, I felt a HUGE difference in my hair. They were soft, shiny, healthy and were fuller. I really felt the "BOTOX" in my hair. They were rejuvenated. I felt my hair was all new, all the damage from heat, coloring and sun was gone. If you follow me on twitter, I tweeted about my experience and how my hair feels. One of the tweets was, "I got my CURLS back!". Yes, I did. They were bouncy, thicker and had lots of volume. They were getting flat from the roots, because of the damage ends. On the second day, after the treatment, my hair became oily at the roots (just informing that it can happen). 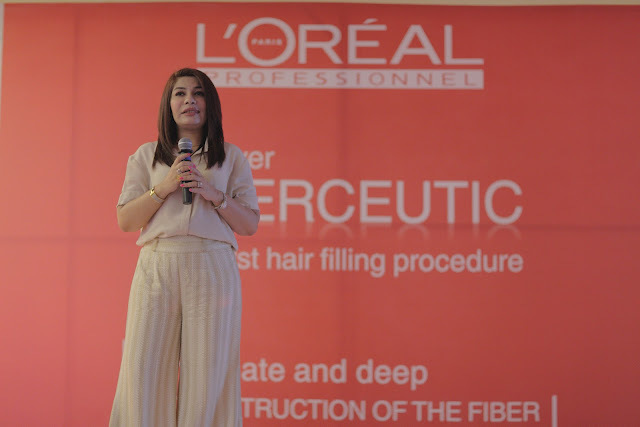 We were told that after 10 hair wash the fiberceutic treatment will start fading, but due to pollution and humidity in Pakistan and due to our weather, it can go in 5 washes as well. After first three washes, my hair was the same - soft and bouncy. After the fourth wash I noticed a slight change; they were not the same. Now, after one month - my hair isn't the same, but the dry and damaged part is not there anymore. I even changed the shampoo, maybe that could be the reason. All in all, I was happy after the treatment and I am still happy to see a change in my hair. I will definitely recommend you, if you have damaged hair and you want some volume and life; in short BOTOX for your hair. Did you try Fiberceutic Treatment yet? Did you like it? Excellent blog. Thanks for sharing youe experience. Personally i like L’Oreal Mythic Oil, as i am using this from years. Really nice product.